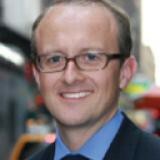 Richard Johnson is an equities and financial technology expert in the Firm’s Market Structure and Technology practice. He has 20 years of industry experience in financial markets. Richard began his career at Barra (now MSCI Barra) as a sales consultant for their suite of risk models and portfolio construction tools. From Barra he joined Investment Technology Group where he was able to apply his quantitative skills to the rapidly growing algorithmic trading business. He was a founding employee at Miletus Trading – a boutique electronic brokerage firm – where he served as the Head of Sales & Trading. In 2007, Richard led the sale of Miletus Trading to Liquidnet where then served as a senior product manager focusing on execution and analytics. In 2011, Richard joined Société Générale where he ran Electronic Trading in the Americas.